The problem of dependability is addressed in the context of intelligent experimental robots. Although this problem is now increasingly attracting attention among robotics researchers, it seems that still many of us are satisfied, if our robots perform just once or twice, and avoid to worry about dependability. In contrast to this, the authors of this paper think that dependability is largely a consequence of fundamental design decisions and that it should be considered by anyone who builds an experimental robot. We present a number of design principles that lead to an improved dependability of intelligent robots. These principles have guided us in the design and construction of our humanoid robot HERMES. 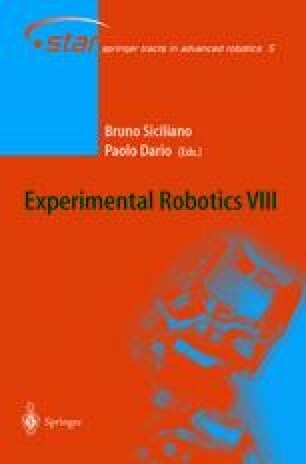 We claim that it is indispensable to actually build entire robots and to integrate all their subsystems to study the dependability of service robots experimentally. Experiences gained in several public short term presentations and in a long-term test when HERMES was operated by non-experts in a museum for more than 6 months up to 18 hours per day are reported.